Established in 2009, Mountain Helicopter Pvt. Ltd. is a reliable company for all kinds of Helicopter Services in Nepal. It operates rescue services and Helicopter evacuation, also. With the goal of providing the safest and cost effective helicopter services, it has benefited many international and domestic travelers till now. Mountain Helicopters operates with a well equipped fleet of aircrafts from the Ecureuil family namely AS 350 B2 (2002 model), AS 350 B3e (2012 model) & EC 130 B4 (2002 model) which have all been manufactured by Eurocopter, France (a worldwide leader in civil and military helicopters production). The experienced team members, pilots and engineers in the same field make the company more reliable. You can trust this company for safe and comfortable helicopter tour packages. 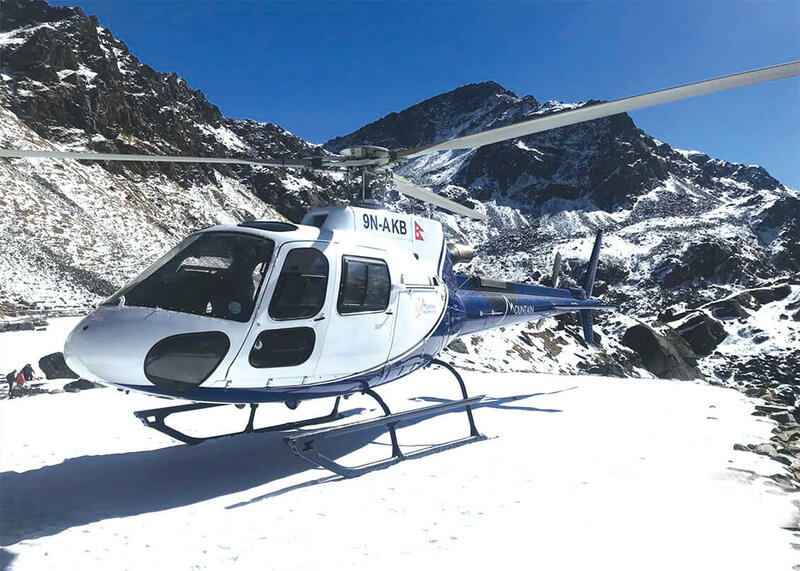 Charter helicopter flights, mountain sightseeing and religious sites tour in Nepal are possible with this helicopter company in Kathmandu Nepal.